There seems to be a new running book out every few days. I’m a sucker for new books and here’s the shortlist of my favourites. I was fortunate enough to have had a pre-release copy of this book, before it was published in spring 2018. The clue is in the subtitle. Surely the holy grail for every runner – Run Faster AND Prevent Injury. This is the second book from Human Kinetics which I have basically read from cover to cover almost non stop. Many schedules, clubs and groups guide on “What to run”. This book really shows you “How to run” and backs up the information with research. In the odd places where the research hasn’t yet caught up, the author is very clear in his comments. 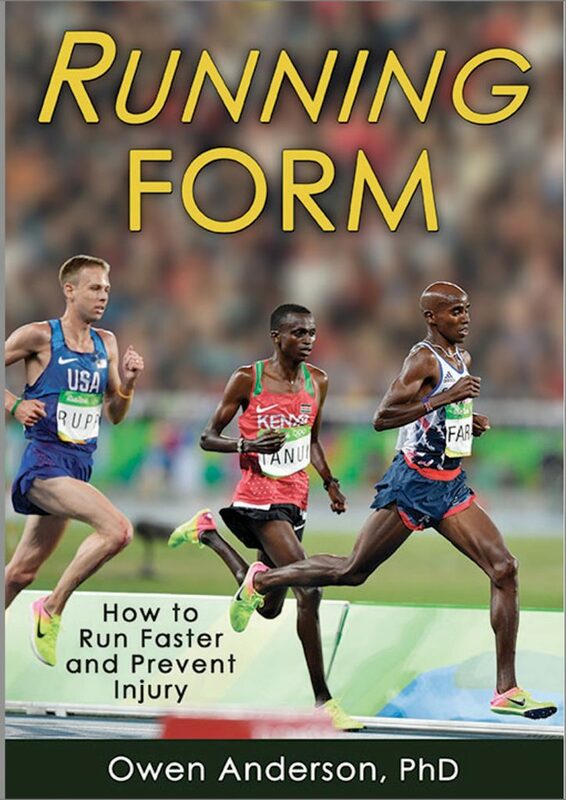 The author has coached and recruited many top athletes and clearly has extensive experience with Kenyan runners. This review was produced one week after my final assessment for CiRF (England Athletics – Coach in Running Fitness) – catchy little title! On the assessment day we shared a track with a group of performance coaches and a local running club – stopwatches at the ready. Lots of information about times, efforts and splits. Not a single comment on form, style, shape or technique. This book is introduced with almost exactly the same observations. It’s easy to see why I was hooked. This book starts fairly technical and builds up and up from there. The writing style is well matched for the content and flows fairly well. Key points are repeated on a regular basis as new techniques, ideas and drills are introduced. Over the last 4 months I have taken, and edited, several thousand photographs of runners, from 8 year old to 80+ year old. Subconsciously I’ve rapidly analysed several thousand running styles so my observations are a little quicker than most runners and, possibly, quite a few coaches. This book shows how to take the observations to another level and use those observations for technique development. To help runners run faster and prevent injury. The author shows the importance of hip,knee, ankle and foot positioning. He also clearly shows how to observe and analyse these key metrics. The book is very technical in these areas and you’d be advised to have a pen and paper beside you when reading through some of this. 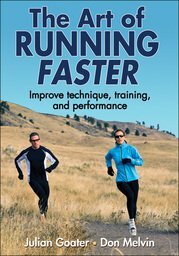 The book is possibly one of the most technical that most runners will ever pick up. Sadly, most runners will probably then put it down. This will be their loss. They’ll continue running harder and harder with the same wrong techniques and then wonder why their injuries are becoming more frequent and lasting longer. I have two observations, or suggested modifications, for this book. This book is, in my limited view, a must read for anyone who trains or coaches runners. I believe that runners will benefit much more by finding a coach who is using these techniques and ideas than trying to apply these techniques themselves. The reason for this comment? A runner will learn and use these ideas only once, take a long time to apply them and probably only gain mediocre benefit. An enthusiastic coach will apply these ideas many times and, with experience, be able to rapidly apply them to any runner with fantastic results. If ever a book was crying out for a ‘crib sheet’ or a supporting 2 minute video where it’s easy to quickly reference the key positions, angles and ratios discussed, this is the book. 2 minute crib sheet / video done is now available The book also explains the efficiencies of front-foot running vs heel strike. Would I recommend this book to every runner I know? No. The runners who should pick this book up are the ones who go out running. That’s all of them. Those runners who want to start correctly and are willing to put in a few hours of study. These are probably the sports people coming to running after football / rugby / netball / hockey careers. These ‘new’ runners have been coached in techniques for those sports and are probably willing to learn some more. Those runners coming back from injury and genuinely telling themselves “this time I really am going to sort it”. Sadly, their first move will be to buy some new running shoes. The author is not a big fan of running shoes and he clearly shows why. Those runners who are genuinely curious about “Why does that old bloke who keeps getting PBs seem to breeze effortlessly past me and why isn’t HE getting as many injuries as me?”. The genuinely curious are typically those who are also willing to learn and put the effort in. This is the target group of runners for this book. The other target group is anyone calling themselves ‘Coach’. It’s that simple. The title suggests the book is all about peak performance, that’s only part of the story. This book can provide incredible insights and ideas for runners of all abilities and experiences. The author quickly introduces the 6 “S” s – speed, strength, suppleness, skill, stamina and (p)sychology. The importance of foot speed (cadence) and correct running posture are developed and you are then introduced to how strength and suppleness are key factors in faster, smarter running. This book completely changed the way I run. Often, in local races, athletes around me say things like “You’re making this look too easy” and “You don’t look as if you’re actually moving”. They just need to read this book and put the ideas in to practice. The athletes I have coached using the ideas from “The Art of Running Faster” have all improved their abilities and kept away from typical runners injuries. Strength and conditioning are brought from the world of elite athletes and their coaching staff to (potentially) a much wider audience. The book introduces the importance of strength exercises to injury prevention and introduces sets of specific exercises with measurable results. The exercises are clearly described with correct and incorrect postures shown. More importantly you are shown which muscle groups are responsible for any imperfections and also which exercise drills to focus on. The author shows the importance of vertical lift in running forward faster and shows how to develop lift. Typical running injuries are analysed along with ‘which muscles to blame’ and how to fix the problems. The current fascination with ‘Core’ strength is analysed and you are shown the importance of working on ‘Trunk Strength’ to include all the muscles from the shoulders to the hips. On some of the titles above there is a link with the abbreviation aff. This means that the link will take you to my account with the publisher or bookseller. If you prefer not to use that link I’ve hopefully left enough information for you to source the book.